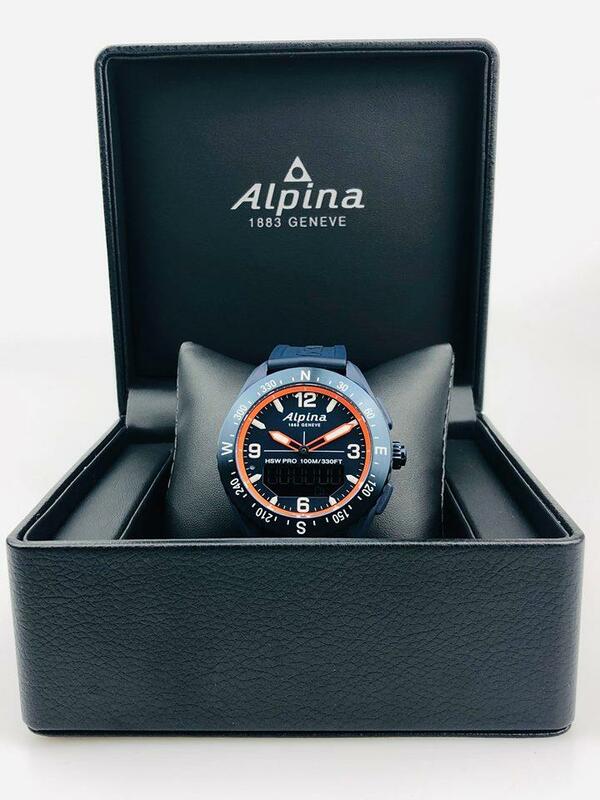 Whilst having the display of a classic watch, this timepiece comes with compatible technology of the modern day. 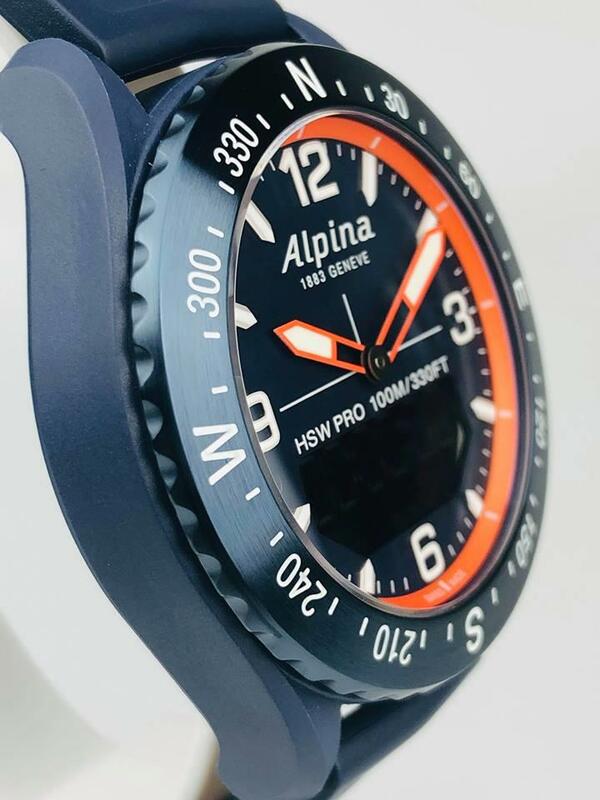 The navy blue dial comes with a hybrid of both analogue and digital display, with the digital display sitting by the 6 o’clock position. 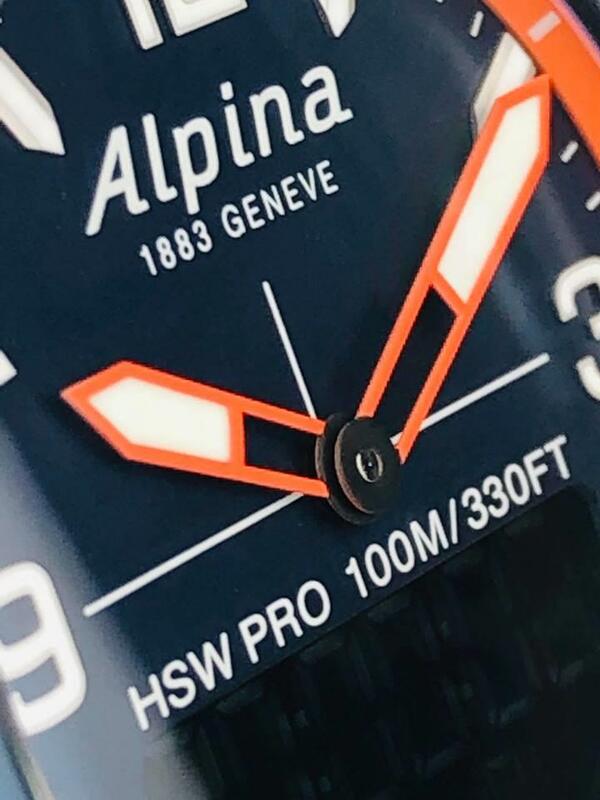 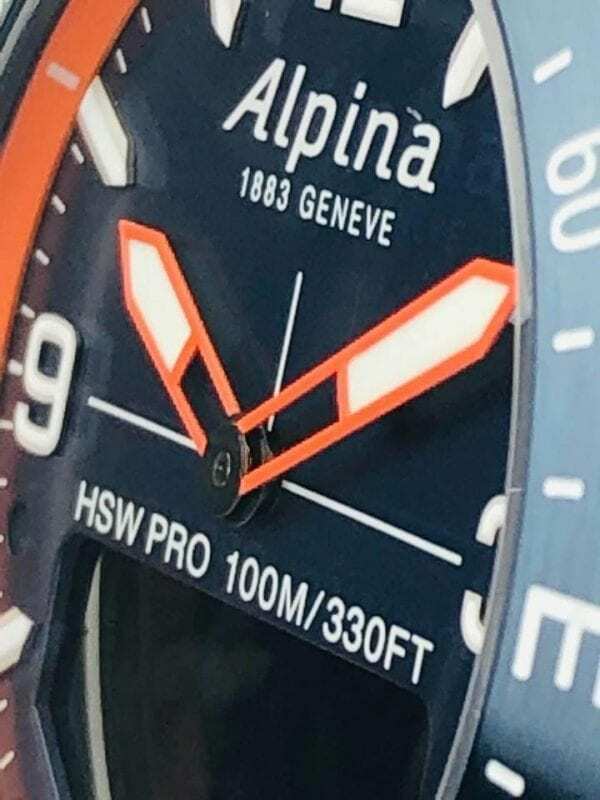 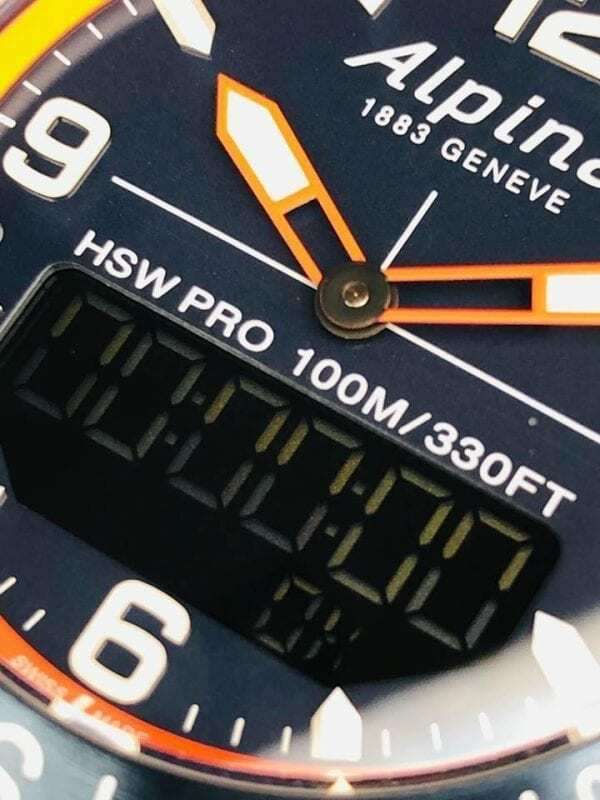 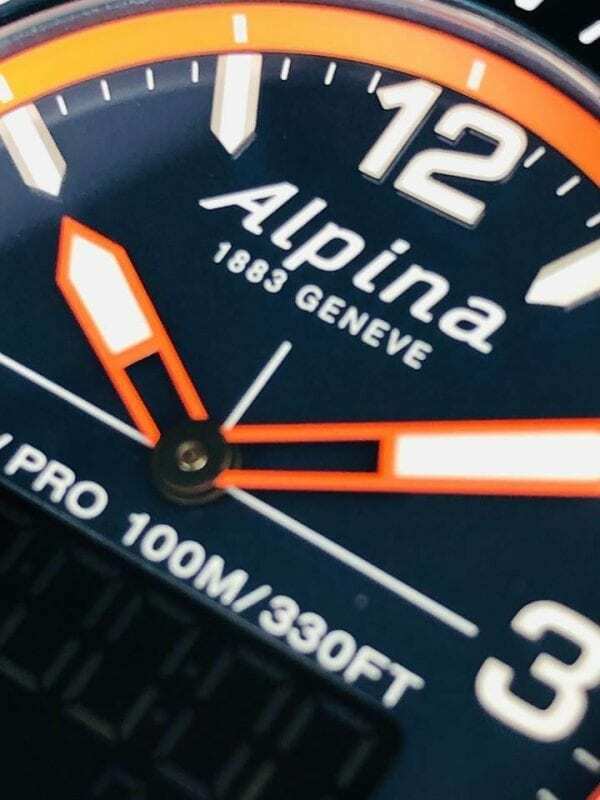 In terms of the analogue display, white and orange batons and index markers are powered by a MMT-283-1 Caliber engine. 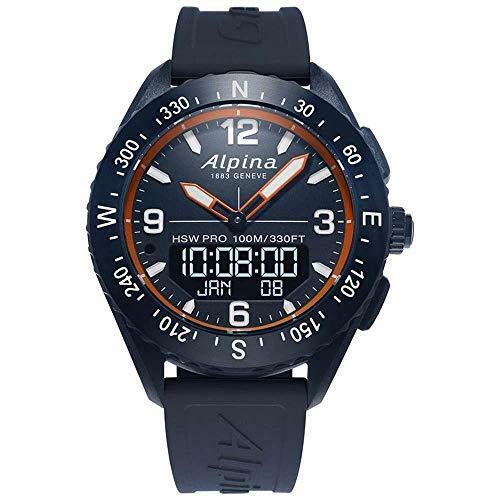 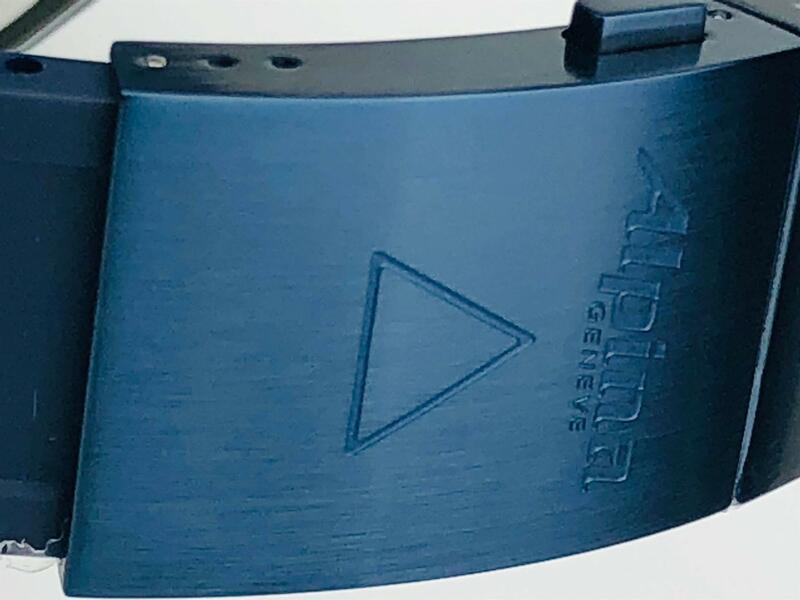 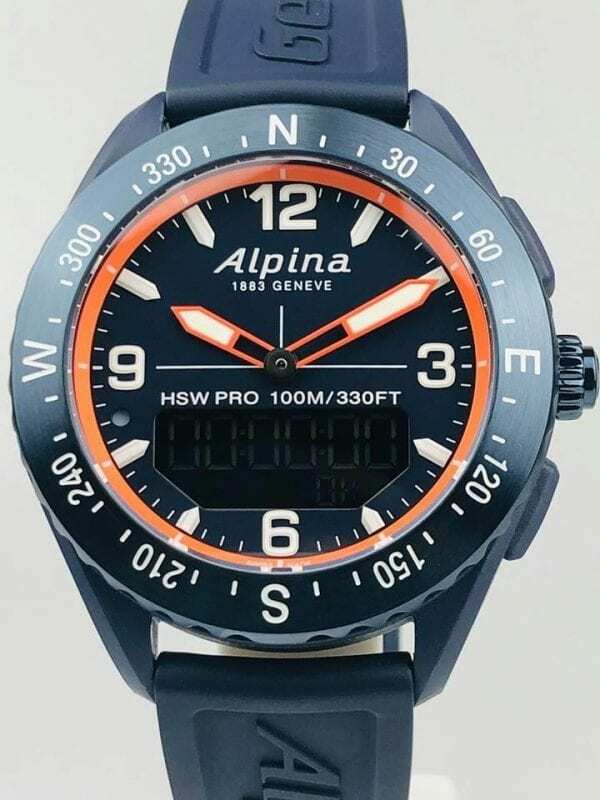 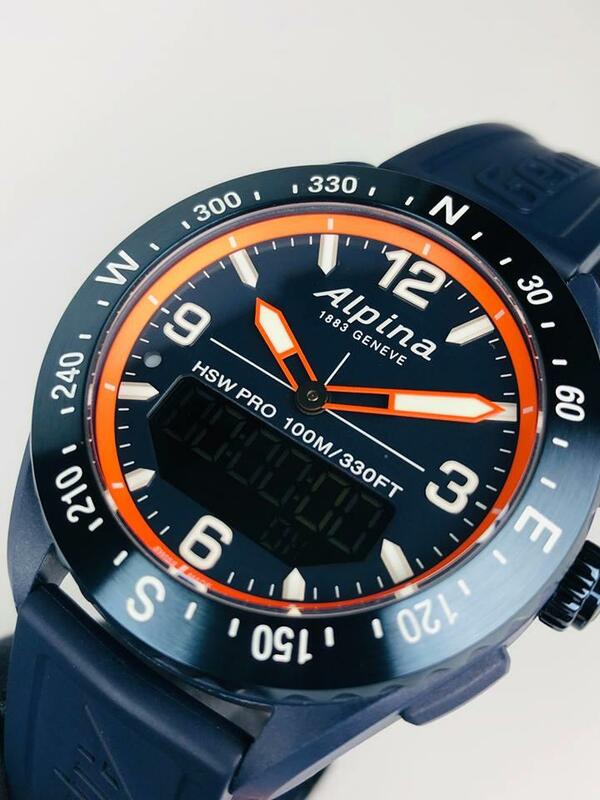 The digital displays shows the time, month and date as the default option, but is also used to show; calls, messages, sleep & activity tracking. 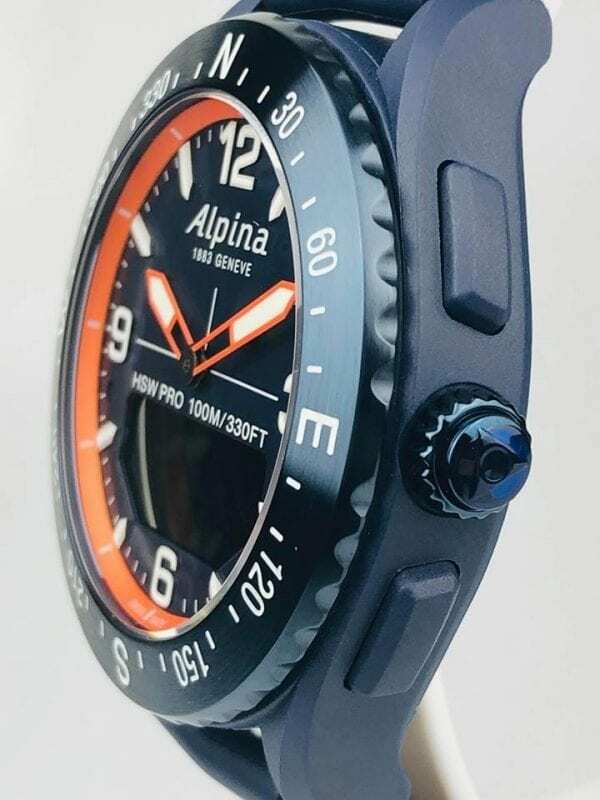 The blue coloured case allows the watch to be doubled up as a compass with a 360 degree index. 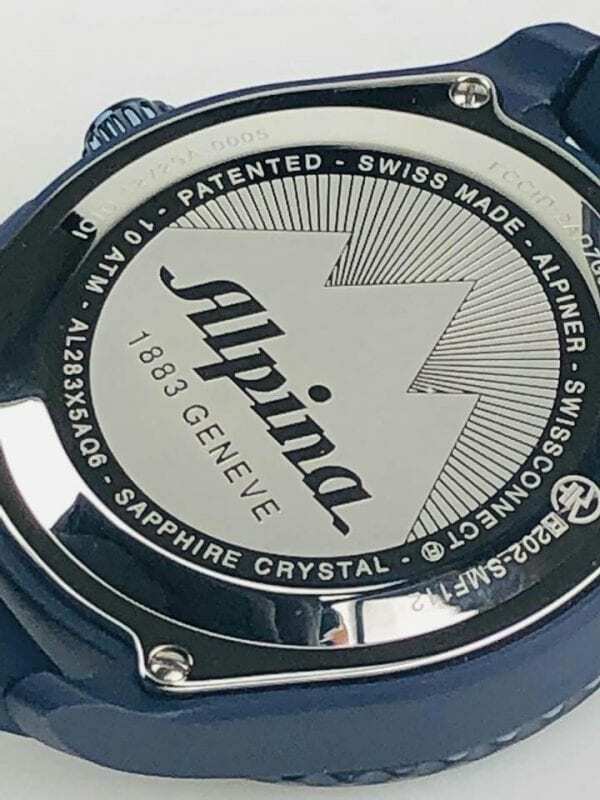 Then a blue rubber strap is fastened delicately to sit around ones wrist.